Not only the City of Lights; Paris is the city of love and romance and also affectionately known as the City of Love. 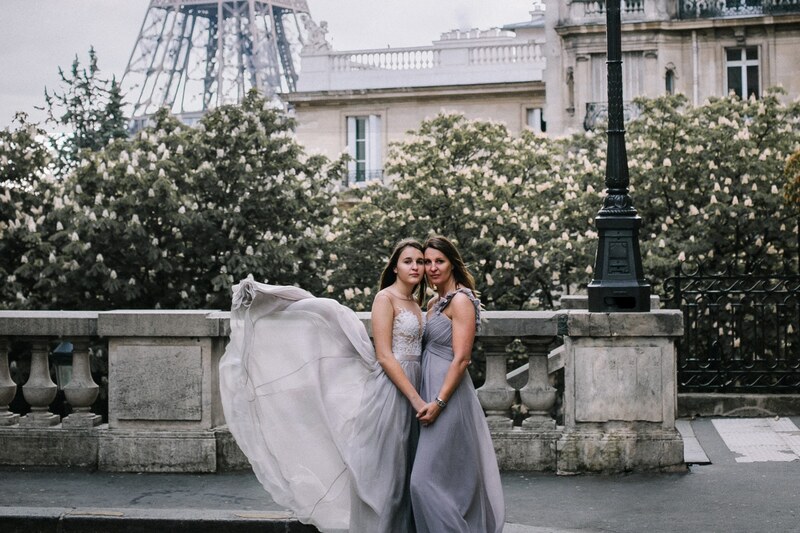 Just ask any couple who has visited if Paris really is as romantic as its reputation deems it to be?!. (oui!) 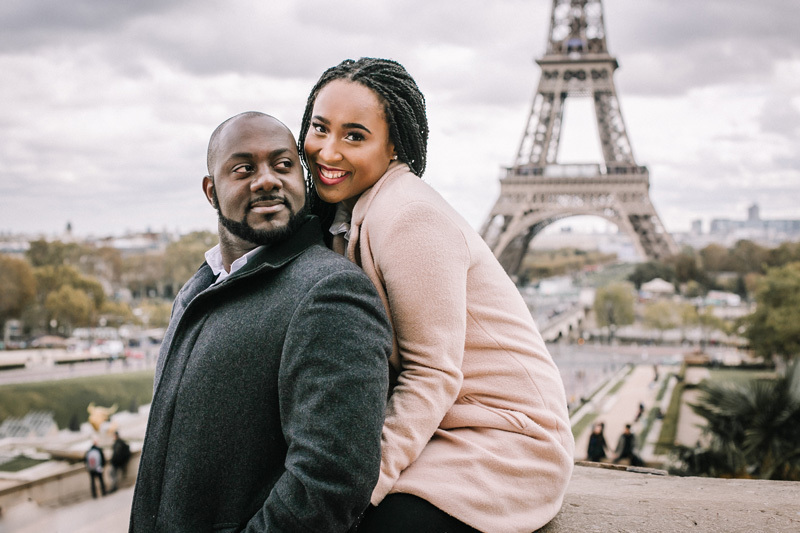 I have photographed couples in Paris for the last few years and the rate of spontaneous proposals here is (not surprisingly) high! Other events I have photographed for couples include: honeymoon photoshoots, anniversaries and Valentine’s Day getaways and even an elopement! 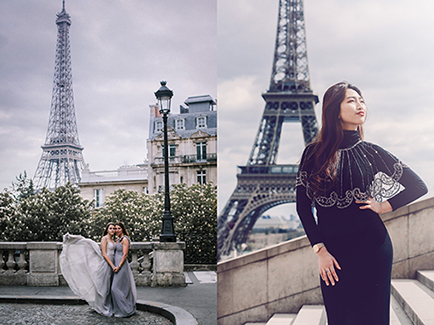 I’d be incredibly honoured to capture your family’s trip to Paris. This is my ultimate favourite type of photoshoot. Creating a legacy and heirloom for your family and future generations is my “raison d’etre”. Priceless memories of you with your kids, parents, siblings, so that you exist in photos together with an eternal reminder of such a special moment shared. I’ve been that girl, travelling alone in a big city, nobody to take my photo in front of the city’s icons (yes, I am a selfie-stick snob). The famous Paris icons are the most recognisable in the world – the Eiffel Tower, the Pyramids de Louvre, Jardins de Tuileries, Palais Royal, the back streets of Montmartre. Coming to Paris in Spring? Cherry Blossom photoshoots are something else… I know the most beautiful corners of the City of Lights and I would love to take you on your own personal photo tour of Paris. Type of shoot - Please feel free to go into detail in the message box below Type of shoot - Please feel free to go into detail in the message box below Couples in Paris Photoshoot Family Portraits in Paris Single! I'm travelling alone and want brag-worthy holiday pix Celebrating a special occasion Celebrity Style Photoshoot - I'd like more information about this please! I'm interested in the following type of photoshoot I'm interested in the following type of photoshoot €350 : Short and Sweet. No fuss. 1 location and surrounding areas. 1 hour. €590 : 2 locations and surrounding areas. 2 hours together. €POA : Celebrity-style VIP photoshoot with wardrobe styling, hair and makeup and a team to make sure you experience an epic photoshoot. You are the star of the show. Anything else you wish to communicate? We all deserve beautiful portraits of ourselves that we are proud of, taken throughout all stages of our lives. It’s my mission to take the best photos of you that you have ever seen – photos that you and future generations will cherish forever. I am based in Paris and I work either on location or in my studio. I also cross the Channel to London every other month.